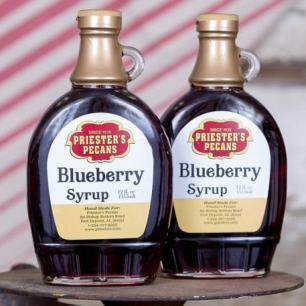 Our syrups are a must-have at any breakfast or brunch. 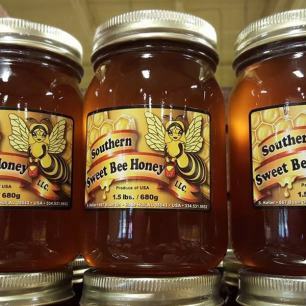 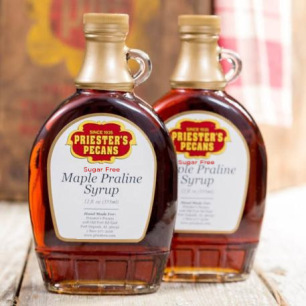 These sweet toppings can be enjoyed on pancakes, waffles, French toast, oatmeal, hot buttered biscuits, and other morning favorites. 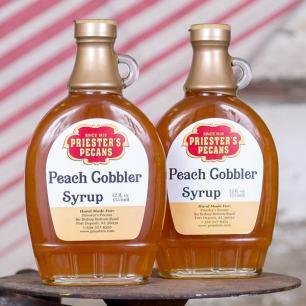 They include Roasted Pecan Syrup, Maple Praline Syrup, Mayhaw Syrup, Peach Cobbler Syrup, Apple Butter Syrup, and Blueberry Syrup. 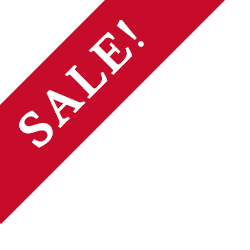 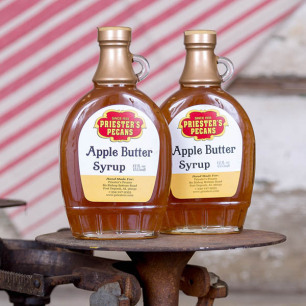 Each is made with the freshest all-natural ingredients and is available in a pair of 12 oz bottles. 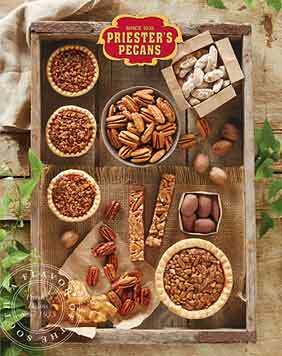 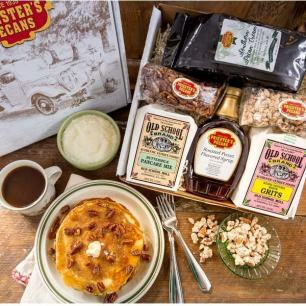 For a complete Southern breakfast experience, try our Merry Mornings Breakfast Box. 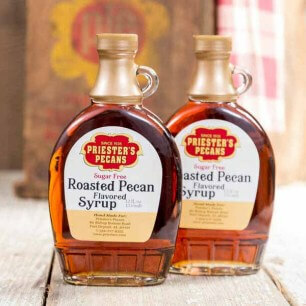 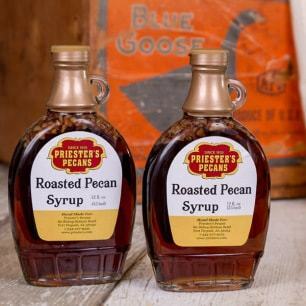 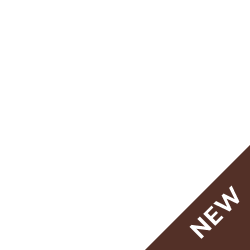 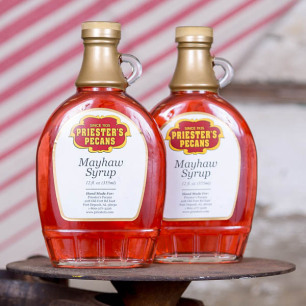 It contains a bottle of Roasted Pecan Syrup along with old-fashioned buttermilk pancake mix, authentic stone-ground white grits, and more, all in one convenient package.